Indian Coast Guard Recruitment 2019 - Apply Online for Yantrik 02/2019 Batch Online Form in Indian Coast Guard, Across India. Online Applications are invited by Indian Coast Guard from 11 Feb 2019 to 21 Feb 2019 til 05:00 PM. Indian Coast Guard Yantrik 02/2019 Result: Indian Coast Guard has announced the Result on 23 Apr 2019 for the exam . 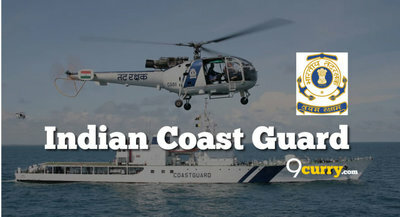 Indian Coast Guard Yantrik Admit Card 2019: Indian Coast Guard has issued the Admit Card on 22 Mar 2019 for Indian Coast Guard Yantrik Exam 2019. Indian Coast Guard Yantrik 02/2019 Admit Card 2019: Indian Coast Guard has issued the Admit Card on 05 Mar 2019 for Indian Coast Guard Yantrik 02/2019 Exam 2019 to be held in March / April 2019. Matriculation or equivalent and Diploma in Electrical/ Mechanical/ Electronics and Telecommunication (Radio/ Power) Engineering Approved by All India Council of Technical Education (AICTE) with 60% in aggregate. On the basis of Physical Fitness Test/ Written Test/ Medical Standards and Interview. Eligible candidates may apply online at Indian Coast Guard's website (direct link is given below) from 11 Feb 2019 to 21 Feb 2019 05:00 PM. 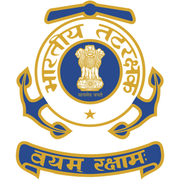 Indian Coast Guard Recruitment 2019 - Job notification for Store Keeper Post in Indian Coast Guard, Delhi on Direct Recruitment. Applications are invited by Indian Coast Guard on or before 27 May 2019 for 1 vacancy.